Lemax The Christmas Cubby Lighted Building depicts a ye-olde traditional homely Christmas gift shop draped in snow and illuminated inside for Christmas opening. 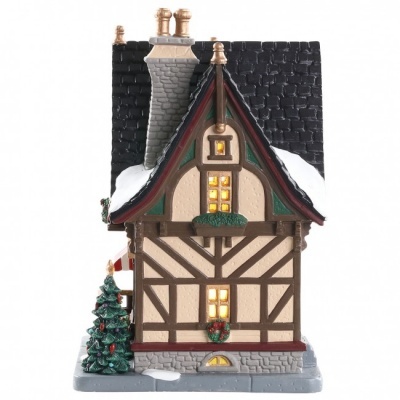 Delightful miniature building on a street corner base with internally viewable windows. 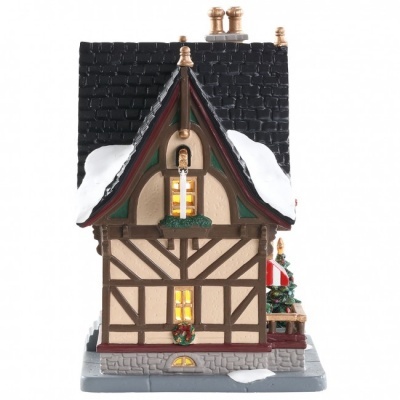 Provides a wonderful LED lit table piece suitable for placement within a Caddington themed Lemax village display. 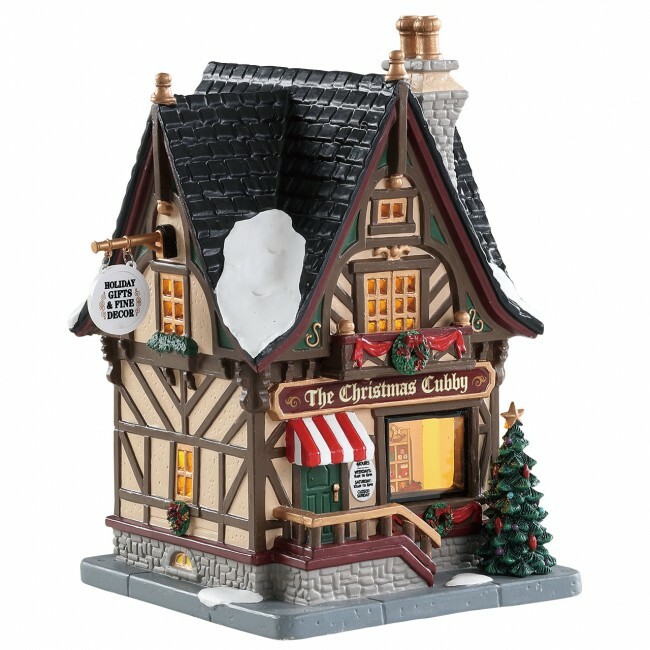 The Christmas Cubby joined the popular Lemax Caddington Village miniatures collection in 2018. The Christmas Cubby is a single porcelain hand painted miniature building on a single base, that would be a welcomed addition to your Christmas village display.